This pas weekend we had a great stargazing party at Fundy National Park. I was snapping images with my Powershot S100 and a tripod. This was the 2nd brightest fireball I have ever seen and lasted about 3-4 seconds. Saturday night at about 9:02 we witnessed what I still think is space junk entering the atmosphere. It lasted about 10 seconds. 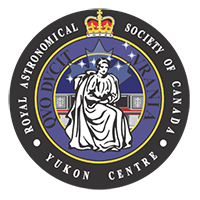 During the peak of the Perseid meteor shower a group of us from RASC decided to go observing at our New Scotland Rd site. There were about 15 of us including some new faces. I setup two cameras taking 30 sec exposures of the sky. As luck would have it I caught this beatiful meteor that flashed twice and the tail lasting about 5 seconds. Jupiter is off to the left. My son and I sat on the deck patiently awaiting for the ISS and shuttle to pass overhead. Of course my son spotted the duo in the sky before me. While taking this photo with the stock 18mm lens I tried to follow the path of the ISS. What's interesting here is that if you look at the ISS is rounded, Jupter has a small smear and the Endeavour has a smaller smear. This tells me the Endeavour is moving at a different velocity than the ISS. This was my first attemp at capturing an Iridum flare. While waiting for the bus to take us home from downtown my 5 year old son yelled Daddy a boad in the sky! This appeared to be a meteor fireball or space debris entering our atmosphere. It was quite high above the clouds and we lost sight of it after is wend behind the clouds towards the south east. Here you can see the moon lit by sun reflecting off earth. Had I have gotten out a few more minutes earlier the Pleiades would have been visible. Venus is also present here.